We tend to think of digressions as indulgences. "Indulge me in a brief digression," one author says; another apologizes for a digression "which might not be too out of the way." We demur at the end-- which is how everyone knows the digression is over; we insist that our remarks were only "by the by," and that we have now "returned to the point." Digressions are, in other words, little side journeys, but not the main thrust of the argument, and we feel that we need to apologize to everyone for not getting to the destination as fast as possible. 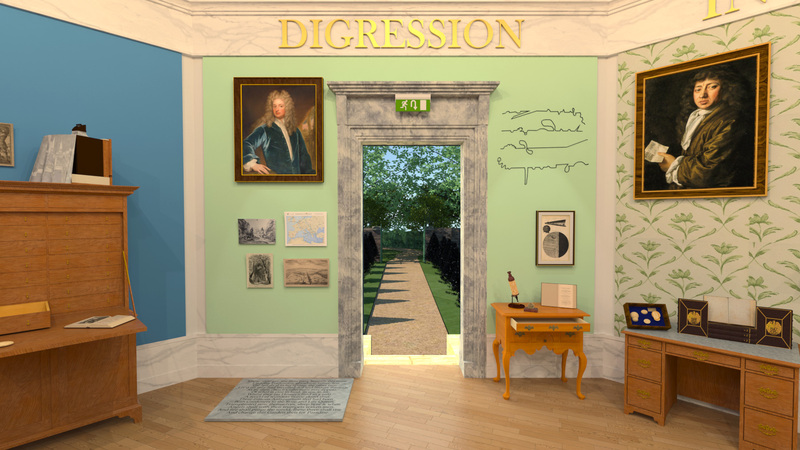 In a museum, however, it's hard to think of a genre that matters more, for digression is the invitation to reflect, meditate, or otherwise converse about the meanings of things. A tour or a lecture by a good curator can often be nothing but digressions-- a series of observations, loosely linked, that revolve around objects in the collection. Done right, digressions will of course add up to something more. We always return from a good digression a little bit different (see Ross Chambers's luminous Loiterature). We bear something back from the forage. And so, done correctly, digressions become a mode of knowledge and a craft of learning. This case offers a history of digression. It contains exhibits that trace the digressive form to its own metaphors, returning abstract thought to its material conditions. Digression, the very word reminds us, is one way of thinking in the language of space. Digression means to turn or to go aside. We allow our minds to wander. We are led from thought to thought. We proceed from one idea to another, or, one idea follows another in our minds. Jonathan Swift was savage in his attacks upon the digressive style; he thought it was polluting philosophy and the arts. But others seemed to revel in its possibilities, the way that digressions captured something about the way that thought moves between a mind and its objects. Digression is the mind looping into and among the spaces in which it finds itself. The "mark of a full stop, or period," presented twice, at different magnifications. Robert Hooke, Micrographia (London, 1665). Photo by Curator. A Roman Aurius, ca. 44–45. Claudius, bare-headed and togate, clasps hands with a Roman soldier, draped in a lion’s skin. AN R.6485 © Trustees of the British Museum. “Addison’s Walk at Oxford,” in John Cassell’s Illustrated History (London, 1856). A Prospect of Ad Pontem, with a tumulus upon the Fosse. William Stukeley, Itinerarium Curiosum (London, 1724). Courtesy University of Michigan Special Collections. A map of one of Robert Plot's many digressions, in which a journey of thousands of miles is compressed into a handful of pages. Itinerary by Curator. Detail from Jan van Kessel, "Study of Various Insects, Fruit and Animals," Gouache on vellum.